This is a CSV file with all of the time details for a specific employee. If you'd like a data dump of all the time during a pay period for an employee you can use the Time Card Report. 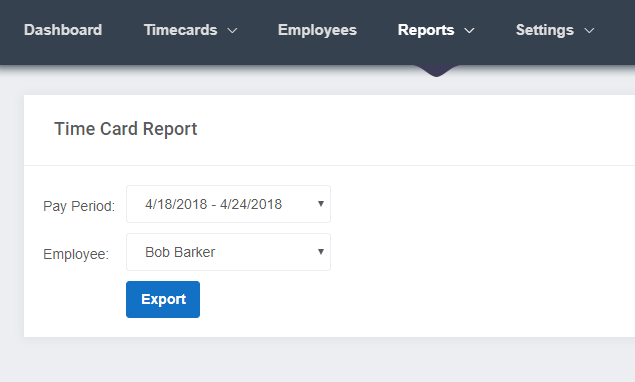 This is available when viewing an employee's time card and using the "Export" option, or by visiting Reports --> Time Card Report. Once you export the time card will look like the below example. Keep in mind that this is a CSV file, so it will not come with formatting. If you are looking for a formatted time card you can share or print off for your employees, try our Employee Detail Report.